WASHINGTON, Oct. 29 (Xinhua) -- The Pentagon will deploy 5,200 active duty troops to the U.S.-Mexico border this week in a bid to deter members of a migrant caravan from illegally entering the country, an official announced Monday. "By the end of the week, we will deploy over 5,200 soldiers to the southwest border," Air Force General Terrence O'Shaughnessy, commander of North American Aerospace Defense Command, told a press conference Monday afternoon. "As we sit right here today, we have about 800 soldiers that are on their way to Texas right now," O'Shaughnessy said. The general said the troops will help "harden the points of entry and address key gaps around the points of entry." The soldiers will be armed and will be deployed with heavy equipment such as helicopters but their role will be limited to providing "mission enhancing capabilities," officials said. The deployment represents a sharp increase from estimates last week, when U.S. administration officials said they were considering a plan to send up to 1,000 active duty troops to the border. Earlier this year, more than 2,000 members of the National Guard were sent to the region to provide assistance to U.S. customs officials who oversee the processing of trade, migrants and pedestrian travel daily. The announcement came as a caravan of migrants is slowly making its way from Central America to the southwest border of the United States. There are approximately 3,500 people in one group, which is currently at the Chiapas-Oaxaca border in southern Mexico, Andrew Meehan, assistant commissioner of public affairs of the U.S. Customs and Border Protection, told reporters. 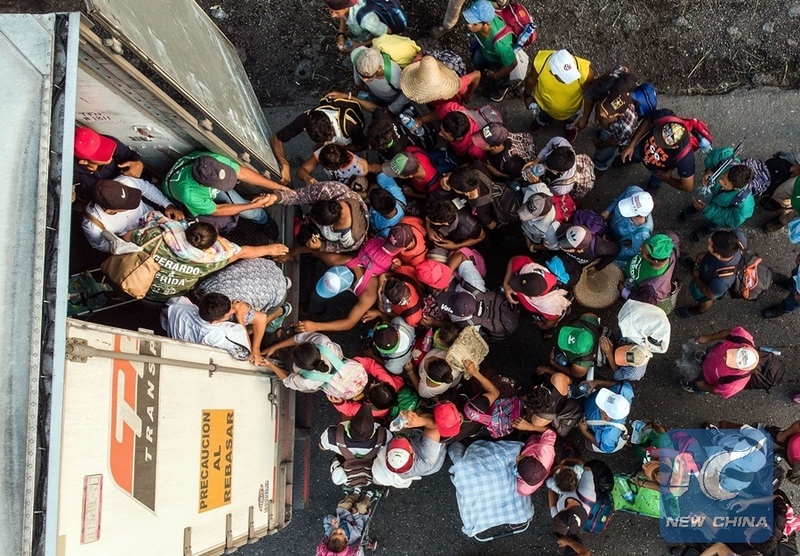 A second group of about 3,000 migrants is at the border crossing between Guatemala and Mexico, he added. U.S. President Donald Trump has been warning against the caravan for weeks. "Many Gang Members and some very bad people are mixed into the Caravan heading to our Southern Border," the president tweeted. "Please go back, you will not be admitted into the United States unless you go through the legal process," he said. "This is an invasion of our Country and our Military is waiting for you!"